Unplanned pregnancy? We can help. Know your choices before you make one. Think you might be pregnant? Have you missed a period? Taken a home test? Schedule an appointment today to confirm your pregnancy with our highly-accurate, free, lab-grade urine-sample pregnancy test. You will also receive a written Verification of Pregnancy. If you pregnant and considering an abortion or happy to be pregnant, verifying the viability and location of your pregnancy and determining the gestational age is an important first step. 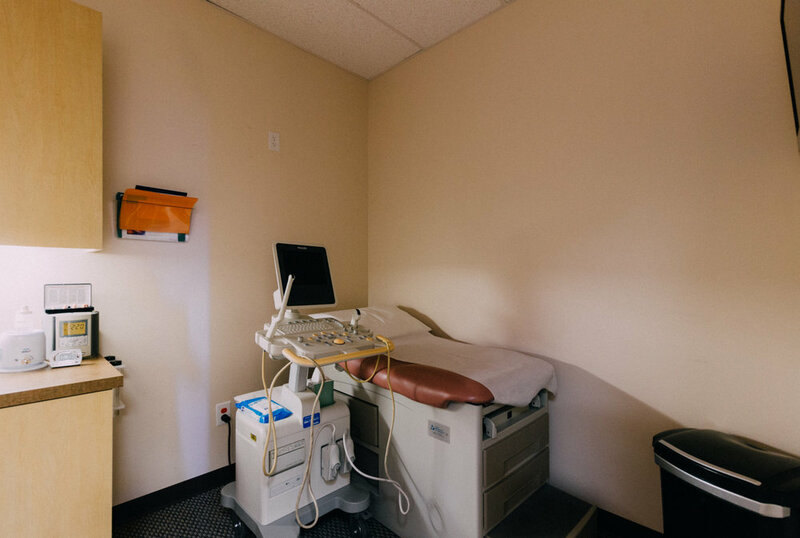 Request an appointment for a free, limited ultrasound at our clinic. Finding out you are facing an unplanned and possibly unwanted pregnancy can be shocking and overwhelming. We're here for you. Process your feelings and assess your pregnancy options in a caring, non-judgmental and confidential setting with one of our trained advocates. We are a non-profit 501(c)(3) clinic that exists to educate, equip and encourage women dealing with decisions on the issues of pregnancy, parenting and abortion. We invite you to stand with women across Arizona who are facing unplanned pregnancies. Your gift will provide them with free care, a confidential and loving environment to explore their options, and useful resources to educate them and open opportunities for a bright future.